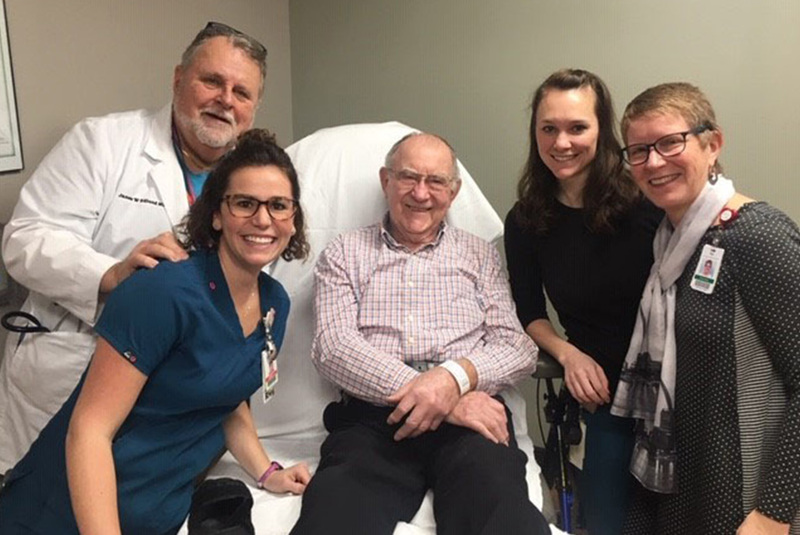 Gene Warstler celebrated his “graduation” from the Center for Wound Healing on January 11, 2019 by surprising his physician, Dr. James Edlund, and nurses, Ally Lepley and Brooke Randol, with Guardian Angel pins. Gene also recognized Dr. Vincent Coda, who initially cared for him and set him on a path to healing. The Parkview Noble Foundation’s Guardian Angel program allows patients to demonstrate their gratitude to caregivers who made a difference. Words of encouragement, a gentle touch, a moment of compassion – these simple acts of kindness can sometimes heal both soul and body. 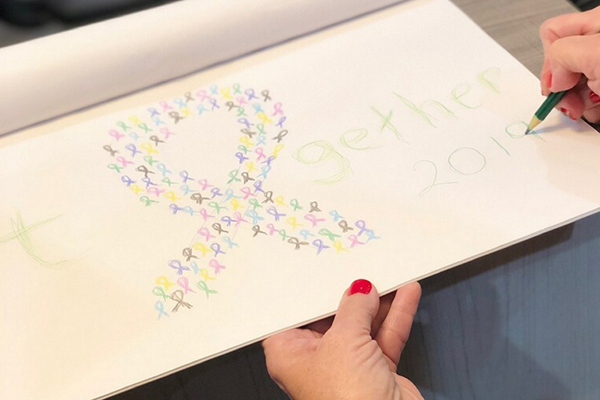 The Guardian Angel program allows patients to say thank you in a memorable, lasting way. In November, 2018, Gene had scheduled an appointment with podiatrist Dr. Coda for what he thought was a minor foot problem. However, Dr. Coda realized that the “small blister” that Gene had described on the ball of his foot, was actually a deep wound with infection that had started to move up his leg. 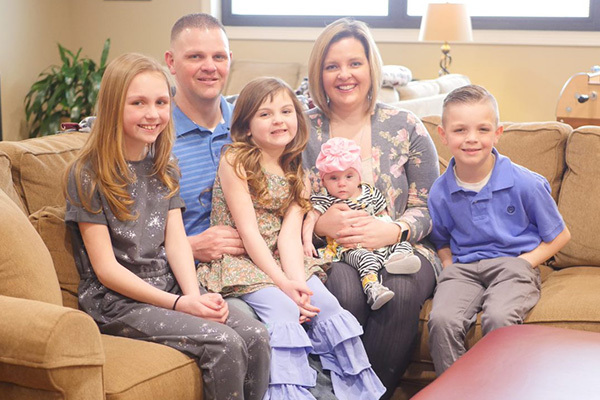 Seeing the extent of the infection, Dr. Coda sent Gene directly from his Kendallville office to the emergency department at Parkview Regional Medical Center (PRMC) in Fort Wayne, where he received intravenous antibiotics and was scheduled for surgery to clean the wound. For many people with diabetes, a small foot blister can develop quickly into a serious wound. The condition, which inhibits healing, can be a factor, as well as obesity. In Gene’s case, knee surgery had altered his gait, which put added pressure on the ball of his foot, creating a blister. With partial foot neuropathy, he did not realize he had a problem until the infection had started to spread to the rest of his foot and leg. 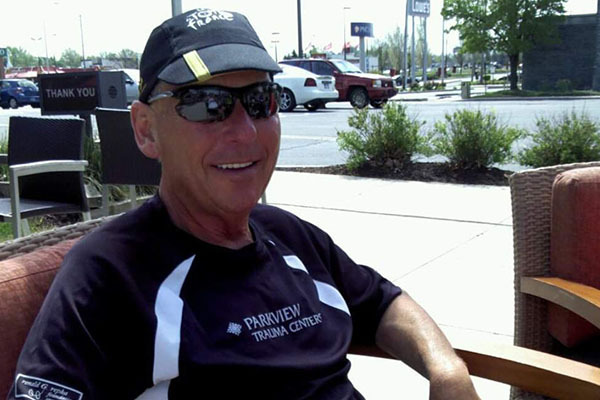 After completing the surgery, Gene was referred to the Center for Wound Care at Parkview Noble Hospital (PNH). 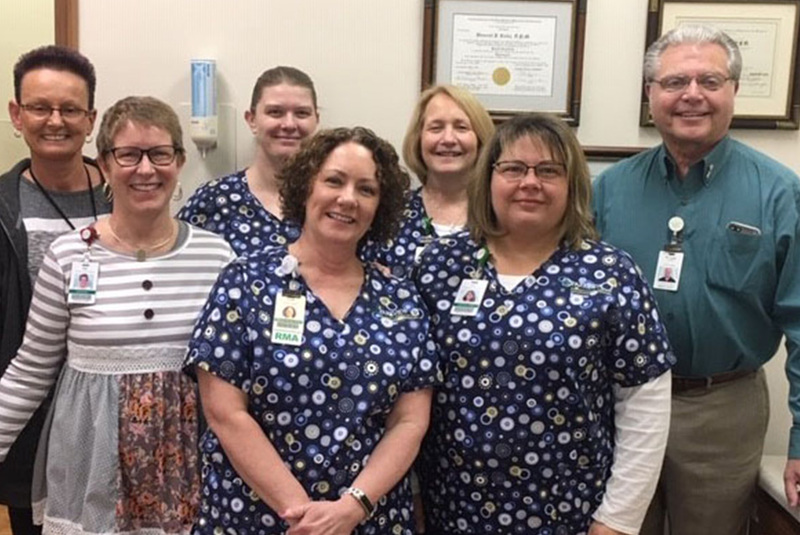 The Center for Wound Care allows numerous patients each year to access care close to home, instead of having to go to Fort Wayne. From the first appointment with Dr. Edlund, Gene and his family knew they were in good hands. PNH nurses Ally and Brooke also reassured and encouraged him throughout the variety of treatments in conjunction with cleaning the wound. A wound-vac was used to relieve pressure on the wound, remove fluid and bacteria, and assist the growth of the new tissue needed to heal the wound. In just a few weeks, Gene’s wound was healed and he was back on his feet.